Thank you for browsing the OBI Store! 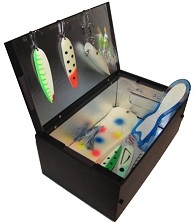 Here is where you can purchase the ChargeBox Original, ChargeBox Junior, and accessories. Just click on the 'Add to Cart' button below, and you will be prompted to follow the checkout process. Or, if you have items in your shopping cart just hit 'View Cart' to see what you have in there and complete the checkout process. OBI accepts both PAYPAL and ALL MAJOR CREDIT CARDS. If you do not have a PayPal account you can still purchase from our store. After clicking on the 'Checkout' button make sure you click 'Don't have a PayPal account' to find the credit card payment screen. 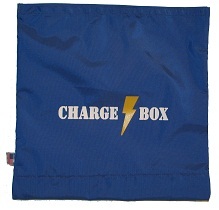 This heavy duty carrying bag is designed to store and transport a collapsed ChargeBox Original. If you're looking for an extra end cap for the ChargeBox Original, this is what you want.